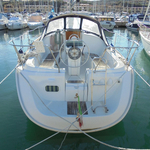 Byron is a name of sailing boat Oceanis 311 ,which has been manufactured in 2002. 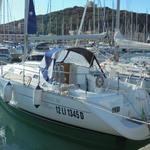 You can charter this yacht from harbor Punta Ala Province of Grosseto just a few kilometers from Elba And Tuscany. 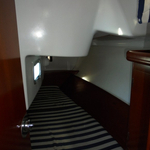 Byron is equipped with 6 berths. 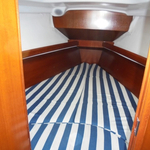 Sleeping places on the sailing boat are configured in 6 (4+2) layout. 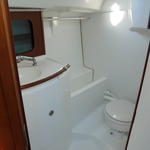 2 bedrooms are located inside the sailboat Byron. 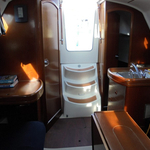 You can see other boats by going to this section: Yacht charter Elba And Tuscany. 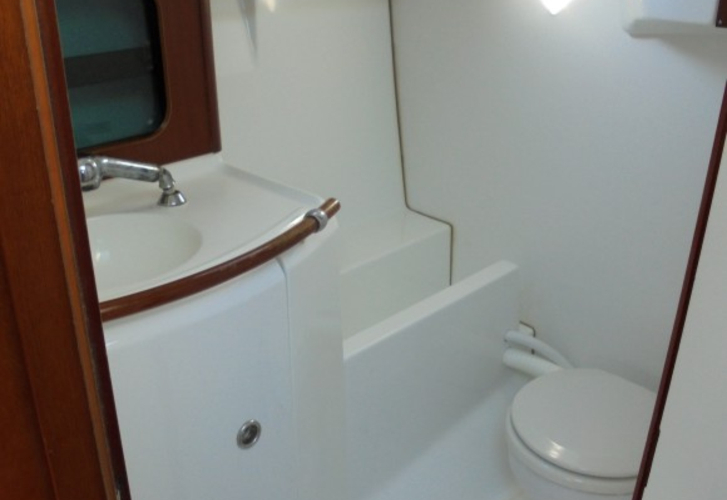 Guests can feel good on this boat , because there are 1 bathrooms for their disposal. With 70.00 l l. in diesel tank you can sail really far and still be independent because of 120.00 l l. in water tank. Byron is supplied with engine 19 hp. 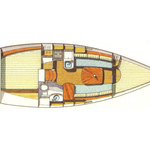 Yacht's dimensions are: lenght overall - 9.85 m , width - 3.66 meters and 1.96 m of depth. 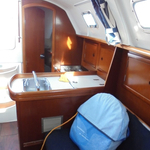 On the sailboat you will find following equipment: Anchor electric windlass, Autopilot, Gps plotter, Outboard engine, Furling mainsail, Radio / cd player. . Security deposit has value 1300.00 EUR. 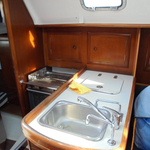 In our search engine you can effortlessly check avalailability of sailing boat Byron from Punta Ala Province of Grosseto by clicking on this link: Yacht charter Italy.